The Annual General Meeting will be held on Saturday, September 22 at 12:30 pm. 2017-2018 Financial Statements - click here. Proposed By-Law amendments - click here. Complete By-Law #1 with proposed amendments - click here. Proxy form - click here. Overall financial results have been satisfactory to start LBC's fiscal year. While game fees have not grown from last year, LBC's minor other revenues - lessons, room rental, Special events and miscellaneous - are all up. Membership dues are almost 8% ahead of last year, thanks to our new members! Expenses are slightly lower, so overall net income of $17,401 is about $3,000 more than last year and also better than budget. LBC's revenues are strongest in the fall of the year, with annual membership renewals in October, lessons in full swing, and golfers, cottagers and snowbirds all at the bridge tables. We expect our income for the year ending July 31 to be between $5,000 to $10,000, and we are on track to repay the promissory notes (remaining balance is ~$70,000) by October 2022. To view the income statement for August 1 to November 30 click here. 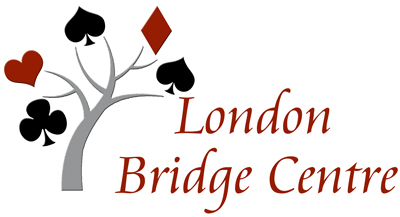 The 2017 Annual General Meeting for the London Bridge Centre was held at 1:00 pm on Saturday, September 23, 2017. The Agenda, approved September 17, 2016 Minutes, draft September 23, 2017 Minutes, 2017 Financial Statements, and Proxy Form are available for your review. The minutes of the meeting can be read here. These minutes were approved at the 2017 Annual General Meeting. The 2015-2016 Income Statements may be viewed here. Copyright © 2019 London Bridge Centre Inc.. All rights reserved.